Wild Man of the Mountain. 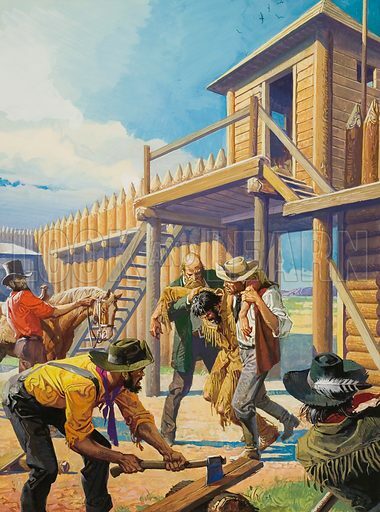 Hugh Glass dragged himself up to the stockade outside Fort Klowa, where willing hands dragged him inside. His only ambition now was to find the man who left him, mauled by a bear, to die. Original artwork for illustration on p15 of Look and Learn issue no 877 (4 November 1978).